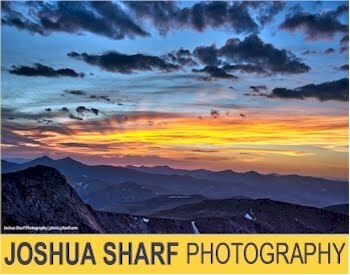 The three most requested items on my "Can you find a deal on....?" 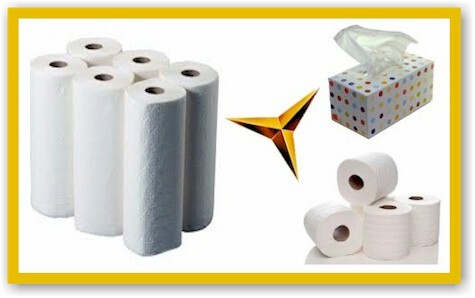 list are the ones we use and need all the time, tissues, toilet paper, and paper towels, AKA The Golden Trifecta of Household Needs, and the two go-to places for deals on these items seem to be Amazon and Jet.com. Of course, these are not hard and fast rules. Deals are going to vary by size of individual item (i.e. 500 sheet roll vs 125 sheet roll), brand loyalty (i.e. I find Viva is the best brand of paper towel and I'm willing to pay slightly more per sheet) and quality within brand (extra-soft, recycled, clean-ripple, extra-strong, etc.). I'll do my best to balance price with quality in Golden Trifecta deals. 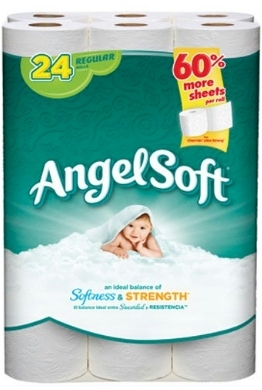 This 24-count of Angel Soft 132-sheet toilet paper is $5.97, or just under 25 cents per roll. 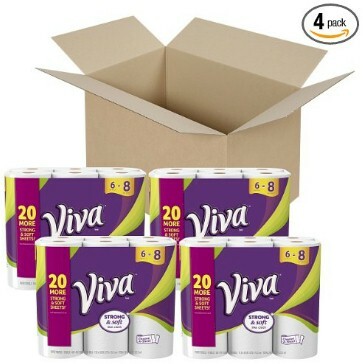 Amazon has got this 24-count pack of Viva Choose-A-Sheet Big Roll Paper Towels (88 sheets each) for as low as $20.33 or 85 cents per Big Roll with Subscribe & Save discounts. Amazon has got this 48-pack of Kleenex 125-count 2-ply white facial tissues for as low as 83 cents per box shipped with Subscribe & Save discounts. 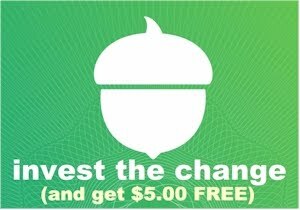 You can stock up and order multiples of this item (and your Subscribe & Save discount will apply to any quantity that you order.